Nikolina Sustic (CRO) in 7:20:34 and Hideaki Yamauchi (JPN) in 6:28:05 took home the gold running the 100km in Croatia. For Nikolina it was a home win and for Hideaki second gold in a row after winning in 2016 in Spain. 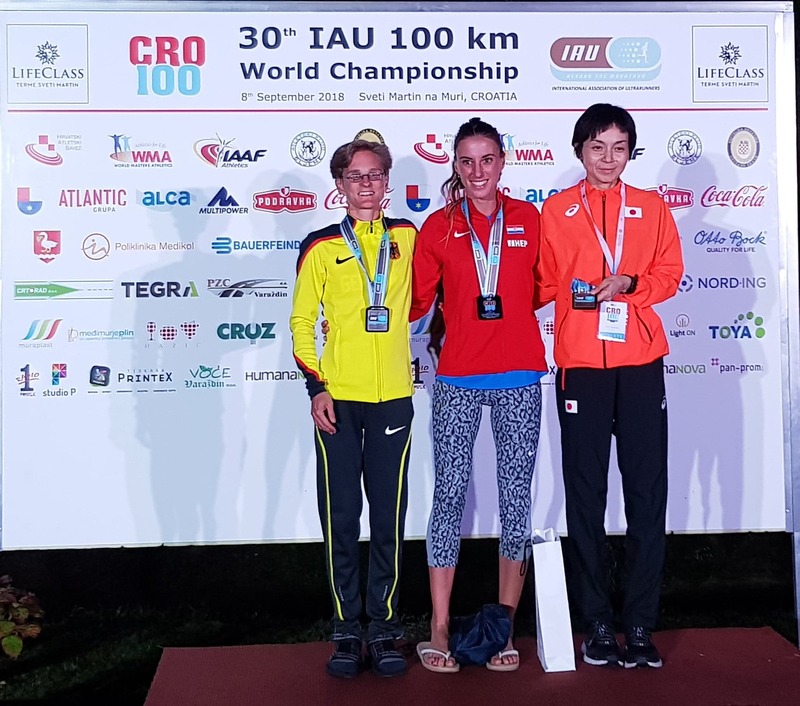 The 30th IAU 100 km World Championship, that took place on September 8th 2018 in Sveti Martin na Muri, Croatia. 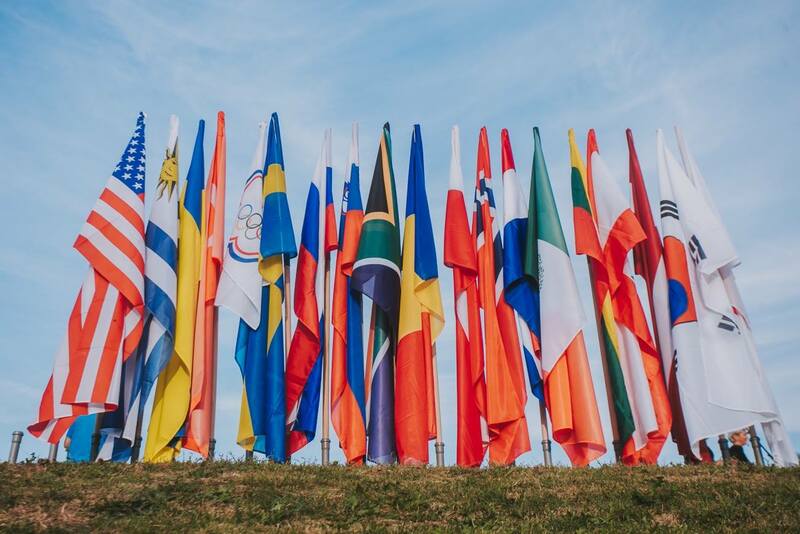 It was another successful major IAU event with 168 male and 115 female athletes from 41 countries. The course started with one 2.5km small lap on the same course that the remaining 13 repetitions of a 7.5km out-and-back route. Most of the course was hilly with lots of up and downs. On the half way there was a 180 degree turn followed by feed station. The start and main feed station was located just in from on the LifeClass Terme Sveti Martin complex that served as event village as well. Exactly at 7 am local time the race started on the first short lap. From the early stage there were many runners pacing together with a very good average on this challenging course. More than 30 runners were moving fast together followed by small chasing groups. Running on the same road out and back made a perfect stage to see direct competition especially after 180 degree turn in the middle of the lap. There was a strong representation of Japan, South Africa in the lead. The leader were changing but later on the race Bongmusa Mthembu (RSA) took a strong lead in the race followed by runners from Japan. In the final stage Hideaki Yamauchi (JPN) took the lead and his teammate Takehiko Gyoba (JPN) manage to take over early leader Bongmusa Mthembu (RSA). Hideaki won in 6:28:05, Takehiko was second in 6:32:51 and less than a minute behind on the third place Bongmusa in 6:33:47. There were three runners from Japan in top 5 that lead them to Team gold medal in 19:37:01. They were followed by team from South Africa securing silver in 20:33:49 and finally team from Germany take home bronze in 21:02:12 just 3 minutes faster than team from USA. In women race there were no surprises. Radka Churanova (CZE) took early lead in the race. She was the leader of the 100 km ranking and she opened the race very strong. Nikolina Sustic (CRO) was following Radka and on third place leader from the German team Nele Alder-Baerens. This was the status quo for long time. Strong pace from Radka on this demanding course had a huge impact. Ten Nikolina and Nele took the chances to slowly reduce the gap and finally they took over Radka. Close to the end we were witnessing fantastic battle for the final win in the championship between both ladies. Nele manage to close the gap but finally it was Nikolina who took gold on the home land. The podium was completed by Mai Fujisawa from Japan. Nikolina Sustic won the gold in 7:20:34 that is the Croatian national record as well. Nele Alder-Baerens took silver in 7:22:41 and finally bronze Mai Fujisawa in 7:39:07. 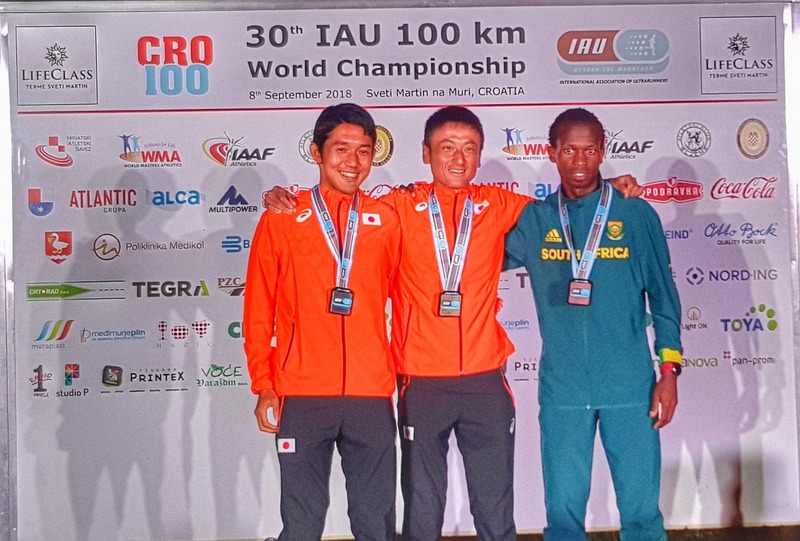 Fantastic performance on Japanese runners lead them to gold medal in team competition in aggregated time of 23:03:50 followed by South Africa team in 23:56:44 and bronze went to Croatia in 24:13:57.